Rabbi Yona Reiss, rosh yeshiva at Yeshiva University’s Rabbi Isaac Elchanan Theological Seminary, was a participant on a panel at the 2015 Corcoran Chair Conference, held at Boston College from March 22-23. Titled “Protestant, Catholic, Jew…Divorcing,” the conference focused on changing religious attitudes and customs with regard to divorce across faiths. 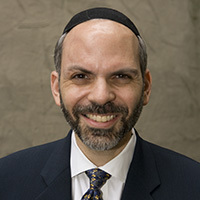 Rabbi Reiss discussed issues related to the Orthodox Jewish perspective on divorce.